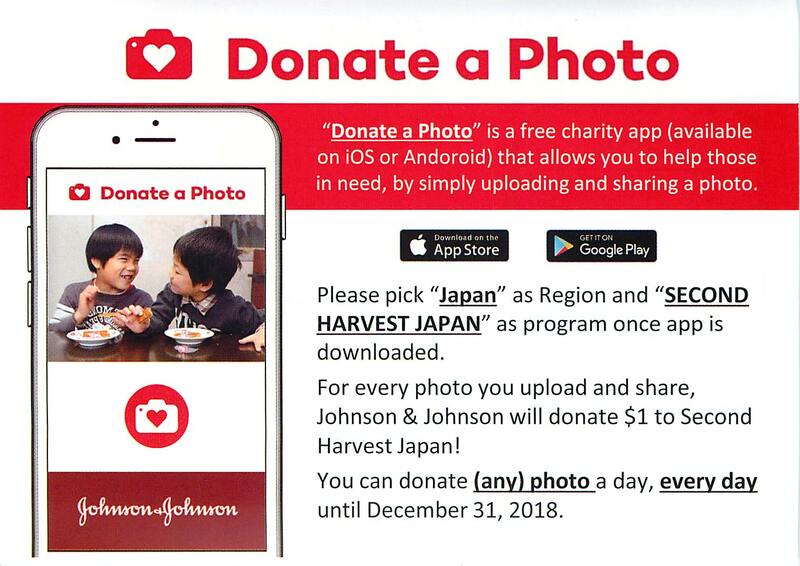 For every photo you upload, Johnson & Johson donates $1 to Second Harvest Japan on your behalf. Our goal is 10,000 photos by December 31, 2018. Thanks for your help!